My Hobbies' Place: Small purse...! A few days before I saw some crochet gift bags in Tammy's post and really loved them! So I asked her the pattern and yesterday I gave it a try! 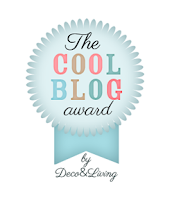 I also received another award from http://meehameeha.blogspot.gr/ and I'm really thankful for that! 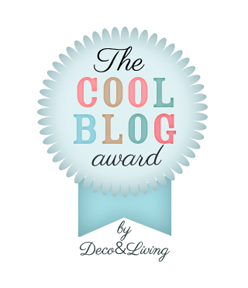 *Don't feel pressed by the award, it's up to you if you want to pass it to other bloggers or not! oh! and congratulations on the award!! You are so sweet! Thanks for bringing a big smile to my face! I was just showing my husband how beautiful the weather is in Greece today! It's a partly sunny 85F/31C and pretty humid in Massachusetts this afternoon. Have a fabulous evening and that's again for sharing the love! Congrats on the award! Hooray! 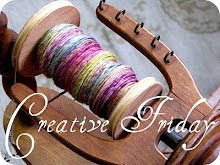 I really love your crochet project, especially with the contrasting blue and pink. So lovely! Γεια σου Αγγελική, σε ευχαριστώ που πέρασες από το σπιτάκι μου.. Φτιάχνεις πολύ όμορφα πράγματα βλέπω! Συγχαρητήρια και για το βραβείο σου.. Θα τα λέμε, φιλάκια! It's lovely! I love the combination! Αγγελικούλα, πολύ γλυκό... σαν εσένα! Many thanks for this award...you are spoiling me but I like it!!! I'll be putting it on my next post.